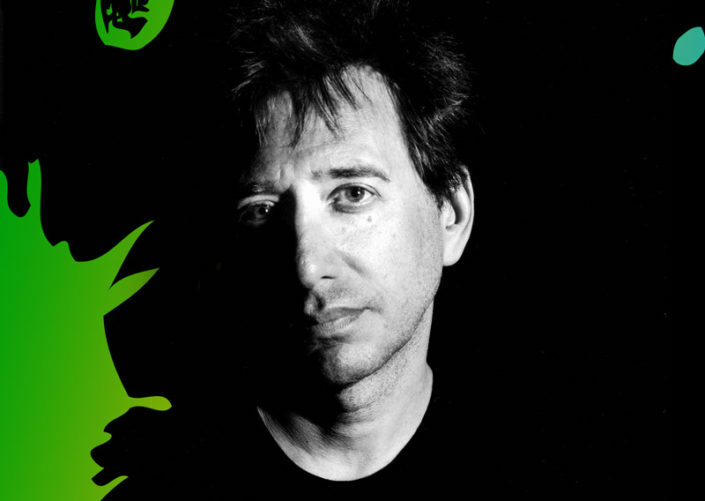 John Zorn’s The Stone Commissioning Series celebrates Zorn’s revolutionary venue, The Stone, a non-profit venue that was “dedicated to the experimental and avant-garde,” and served as a vital spot for new-music in Manhattan’s Alphabet City for over a decade. Held on the last Wednesday of every month, National Sawdust honors the spirit of the Stone, hosting the world premiere of new works. The Concert will feature a new piece for violin and piano, performed by Jennifer Choi and Kathleen Supové, that merges their unique personalities with radio-inspired communications between the two instruments. Also on the program, significant works for acoustic instruments and electronics, including “Shattered Apparitions of the Western Wind” inspired by hurricane Sandy and Claude Debussy; “Lost Signals and Drifting Satellites” a signature piece for violin and signals from Sputnik; “Long Waves and Random Pulses” for violin and jammed radio signals; and, the whirlwind two piano and electronics piece that was commissioned by the LA Phil, “Refracted Reflections and Telepathic Static” performed by the amazing Quattro Mani, pianists Steven Beck and Susan Grace. Refracted Reflections and Telepathic Static (for two pianos and electronics, notes here) performed by Quattro Mani, pianists Steven Beck and Susan Grace. Annie Gosfield, whom the BBC called “A one woman Hadron collider” lives in New York City and works on the boundaries between notated and improvised music, electronic and acoustic sounds, refined timbres and noise. She composes for others and performs with her own group, taking her music on a path through festivals, factories, clubs, art spaces, and concert halls. Her music is often inspired by the inherent beauty of found sounds, such as machines, destroyed pianos, warped 78 rpm records and jammed radio signals. She was dubbed “a master of musical feedback” by The New York Times, who wrote “Ms. Gosfield’s choice of sounds are never a mere gimmick. Her extraordinary command of texture and timbre means that whether she is working with a solo cello or with the ensemble she calls her “21st-century avant noisy dream band,” she is able to conjure up a palette of saturated and heady hues.” A 2012 fellow at the American Academy in Berlin, and the recipient of the Foundation for Contemporary Arts’ “Grants to Artists” award, Gosfield’s essays on composition have been published by the New York Times and featured in the book Arcana II. Active as an educator, she held the Darius Milhaud Chair at Mills College, and has taught composition at Princeton University, and California Institute of the Arts. Dedicated to working closely with performers, Gosfield’s music has been commissioned and performed by some of the best interpreters of contemporary music worldwide, including the Los Angeles Philharmonic, the JACK Quartet, the Bang on a Can All-Stars, the Flux Quartet, MIVOS Quartet, String Noise, Athelas Sinfonietta, So Percussion, Talujon Percussion, Newband/The Harry Partch instruments, Agon Orchestra, Rova Sax Quartet, The West Australian Symphony Orchestra New Music Group, the Berlin Philharmonic’s Scharoun Ensemble, Ensemble Phoenix, ex-Kronos cellist Joan Jeanrenaud, Stephen Gosling, Sarah Cahill, Lisa Moore, Felix Fan, Frances-Marie Uitti, Blair McMillen, Anthony de Mare, Kathleen Supove, Jennifer Choi, George Kentros, and many more. Her music has been conducted by Pierre-André Valade, Brad Lubman, Rossen Milanov, Christopher Rountree, and Roger Smalley, and featured at festivals including Warsaw Autumn, Ecstatic Music, ISCM World Music Days, Gaudeamus Muziekweek, The Bang on a Can Marathon, MaerzMusik, The Santa Fe Chamber Music Festival, Festival Musique Actuelle Victoriaville, Wien Modern, Spoleto Festival USA, OtherMinds, MATA, Huddersfield Contemporary Music Festival, Settembre Musica Festival, Schleswig-Holstein Festival, Company Week, and three “Radical New Jewish Culture” festivals curated by John Zorn. Gosfeld’s music has been presented at venues including Lincoln Center, The Miller Theatre, Merkin Hall, The Stone, The Kitchen (New York City); Yerba Buena Center for the Arts (San Francisco); Walt Disney Concert Hall, Monday Evening Concerts, REDCAT Theater (Los Angeles); Walker Art Center (Minneapolis); Teatro Olimpico (Rome); Théâtre de la Ville (Paris); Ujazdowski Castle (Warsaw); The Hermitage (Saint Petersburg); and many other spaces worldwide. 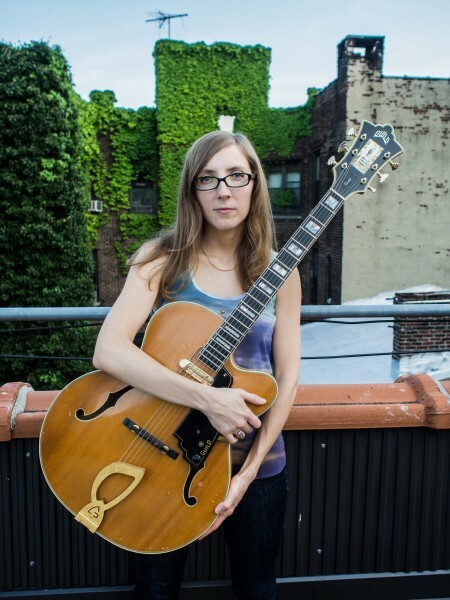 Active as a performer and improviser, she has played with Derek Bailey, Ikue Mori, Roger Kleier, John Zorn, Fred Frith, Chris Cutler, Laurie Anderson, Billy Martin, Steven Bernstein, Brian Chase, Scanner, Marc Ribot, Ches Smith, Joey Baron, Sim Cain, David Moss, Davey Williams, and LaDonna Smith. Large-scale compositions include the signature piece EWA7, a site-specific work created during a residency in the industrial environments of Nuremberg, Germany; Signal Jamming and Random Interference, composed in close collaboration with the JACK Quartet, with samples of jammed wartime radio signals performed by Gosfield alongside JACK at Roulette; Daughters of the Industrial Revolution, a concert-length piece inspired by her grandparents’ immigrant experiences in New York City during the Industrial Revolution, commissioned by the MAP fund at The Kitchen; and Floating Messages and Fading Frequencies, the first in a series of works that examined the radio transmissions of resistance groups in WWII, conducted by Pierre André Valade, premiered by the Athelas Sinfonietta and Gosfield’s trio in a 2011 UK tour that included Huddersfield Contemporary Music Festival. Gosfield’s discography includes four solo releases on the Tzadik label. Her most recent CD, “Almost Truths and Open Deceptions” includes a piece for solo piano and broken shortwave radio, a chamber cello concerto, a quartet inspired by deteriorating 78 records, and a five minute blast by her own band. It was included in year-end lists by Alex Ross of the New Yorker and Seth Colter Walls of The Awl. “Lost Signals and Drifting Satellites” demonstrates her very personal approach to contemporary classical music, at once noisy, melodic, and atmospheric. It features four recent compositions drawn from her extensive work for soloists and ensembles, performed by Joan Jeanrenaud, the FLUX Quartet, and others. Her 2001 Tzadik CD ”Flying Sparks and Heavy Machinery” features two large–scale pieces inspired by her residency in the factories of Nuremberg, Germany: EWA7, performed by Roger Kleier (guitar), Ikue Mori (electronics), Sim Cain and Jim Pugliese (percussion) and Gosfield (sampling keyboards); and Flying Sparks and Heavy Machinery, performed by The Flux Quartet and Talujon Percussion Quartet. 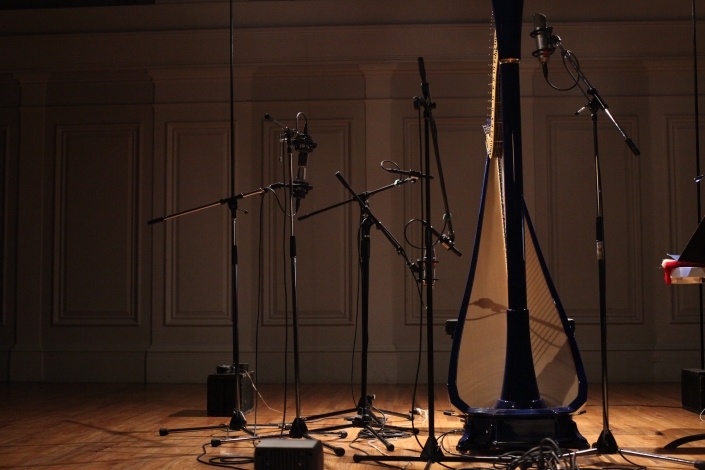 Gosfield’s first solo CD “Burnt Ivory and Loose Wires”, focuses on music inspired by detuned and destroyed instruments, performed by her own ensemble, ROVA, and cellist Ted Mook. Other recent releases include Lightning Slingers and Dead Ringers, an extended work for piano and sampler performed by Lisa Moore. Annie’s music has also been featured on CD’s released by ECM, Sony Classical, CRI, Harmonia Mundi, Wergo, Recommended, Caprice, Cantaloupe, Rift, EMF, Innova, Atavistic, ORF, Mode, and Starkland. Annie has collaborated on installations with artist Manuel Ocampo, and created a video titled Shoot the Player Piano for an imaginary orchestra of destroyed instruments which has been shown at film festivals internationally. She composed and performed music for Christopher Walken’s play “Him” at the Public Theater. Her music has been featured by many choreographers and dance companies, such as Karole Armitage, Susan Marshall, Pam Tanowitz, Les Grands Ballet Canadiens, Didy Veldman with Skanes Dansteater, Oregon Ballet Theater, Milwaukee Ballet, Gruppen Fyra (Finland), and Ballett der Staatsoper Hannover. In August, 2010, Gosfield curated The Stone, presenting a month of performances by some of New York’s best interpreters of new music, with over 20 premieres and unanimously good notices at the East Village performance space. She returned to the Stone in May, 2014, to present a diverse week of her own music, including premieres, chamber music, improvisations, and performances by her own band. In 2018 she will return again to the Stone’s new location at the New School. The New York Times published several of Gosfield’s articles on composition in “The Score”, a series on music featured in their Opinionator section. 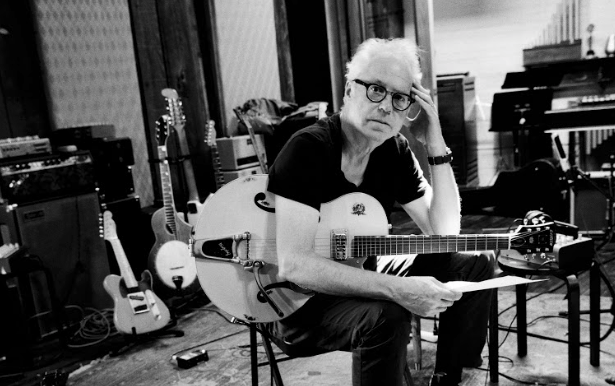 An article by Gosfield on the creative process titled “Fiddling With Sputnik” was published in the book Arcana II, edited by John Zorn. 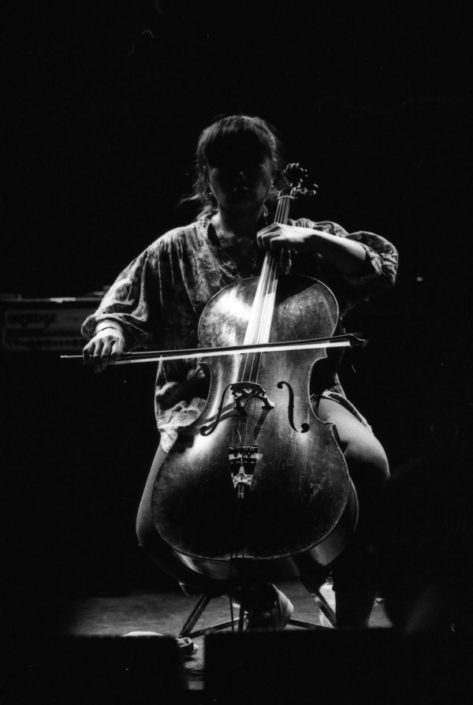 Her work has been profiled on National Public Radio, and in articles in MusikTexte, The New York Times, The Wire, Contemporary Music Review, Avant Magazine, Strings Magazine, as well as the book Music and the Creative Spirit. Prominent musicologist Sabine Feisst has published and presented several papers on Gosfield’s work, most recently Musik – Stadt: Traditionen und Perspektiven urbaner Musikkulturen, (Leipzig: Gudrun Schröder Verlag, 2012), and published her research on Gosfield in MusikTexte. In 2013 a conference on Gosfield’s work was held in Graz, Austria. Gosfield has received fellowships from the American Academy in Berlin (2012), the American Academy in Rome (2015), the Foundation for Contemporary Arts, the McKnight Foundation, New York Foundation for the Arts, Civitella Ranieri, and the Siemens Foundation. 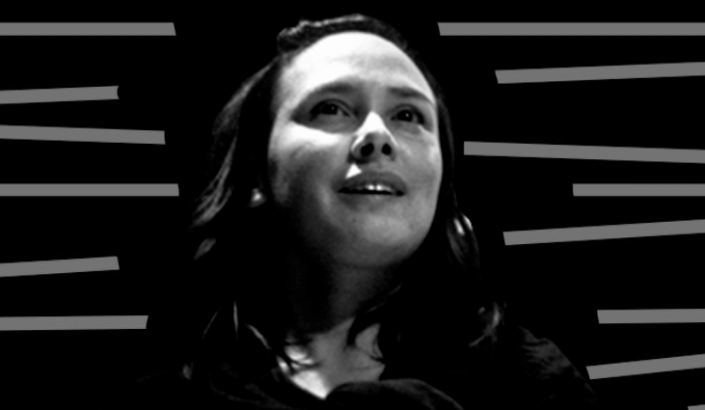 She has received grants and awards from the MAP Fund, NYSCA, NewMusicUSA, the League of American Orchestras/Music Alive!, the NEA, Meet the Composer, the Argosy Foundation, the American Composers Forum, the Mary Flagler Cary Charitable Trust, The Rockefeller Foundation, the Jerome Foundation, the American Music Center, and U.S. Artists at International Festivals, among others. Annie was a visiting lecturer at Princeton in 2007, and held the Darius Milhaud Chair of Composition at Mills College in 2003 and 2005. She was a visiting artist at Cal Arts in 1999, and guest composer at the Eastman School. Gosfield is on the advisory council of the Civitella Ranieri Foundation, an artists’ residency program based in Umbria. In 2015 Annie presented a a noisy, new music dance band at the Ecstatic Music Festival that played music driven by analog synth sounds, machines, and vacuums, featuring Downtown luminaries Billy Martin, Roger Kleier, and a horn section led by trumpeter Steven Bernstein. Recent projects include new music for orchestra and a residency with the Chautauqua Symphony Orchestra sponsored by the League of American Orchestras; a piece for two pianos and electronics for the Los Angeles Philharmonic’s “Green Umbrella” series; a spatialized electronic work inspired by the processes and perceptions of jammed radio broadcasts in WWII. 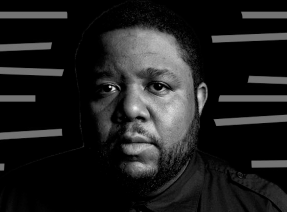 Upcoming projects include a new Tzadik CD, a piece inspired by Diego Rivera’s “Detroit Industry” murals that will premiere under the murals themselves, premieres in Athens and New York, and a residency at The Stone at the New School, New York. 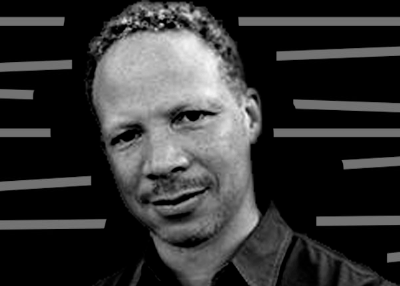 February 28th, 2018 - 7:00pm Listen to Taborn premiere a brand new work on the stage for the first time, along with other repertoire that Taborn personally curates for the evening. March 28th, 2018 - 7:00pm For March, Zorn presents theremin maven Pamelia Stickney, whose playing has been described as “haunting” by People’s World. January 25, 2017 - 9pm In collaboration with The Stone, National Sawdust is proud to present a monthly curatorial series of performances featuring newly commissioned work by some of the most exciting and creative composer/performers in New York. 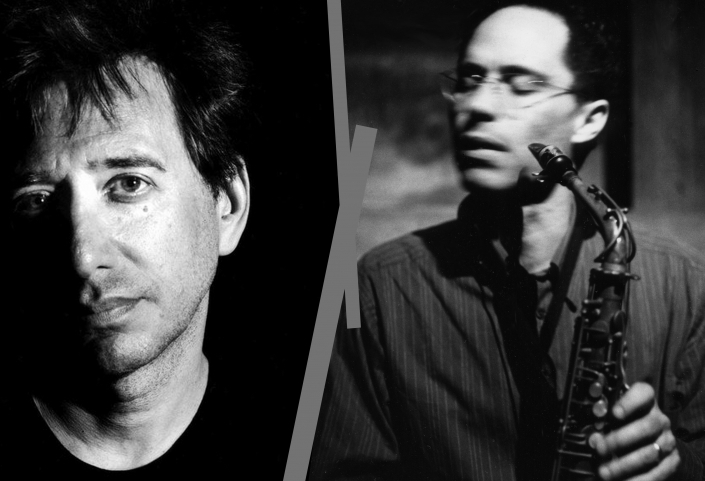 The series kicks off on January 25 with John Zorn on solo saxophone, and continues on February 22 with Matt Mitchell, and on March 29 with Nicole Mitchell. 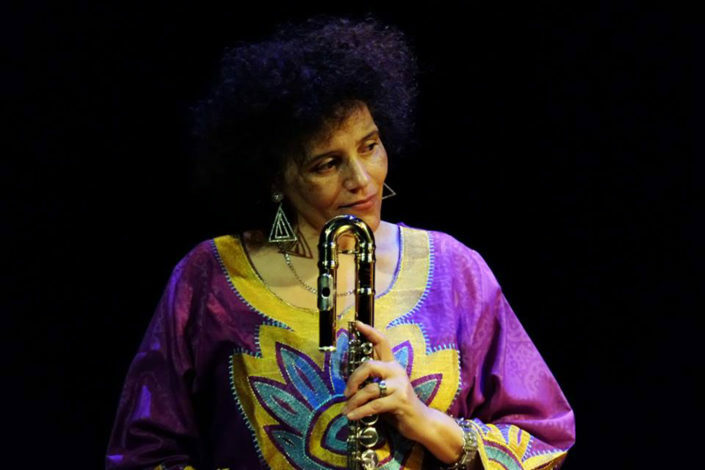 March 29, 2017 - 7:00pm Nicole Mitchell, flutist and composer, presents "Maroon Cloud" as part of the Stone Commissioning Series. 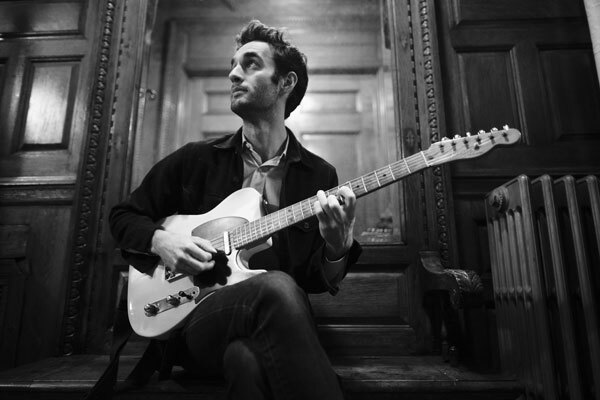 April 25th, 2018 - 7:00pm For April, Zorn presents Uzupis, a band led by revolutionary musician Kenny Wollesen. 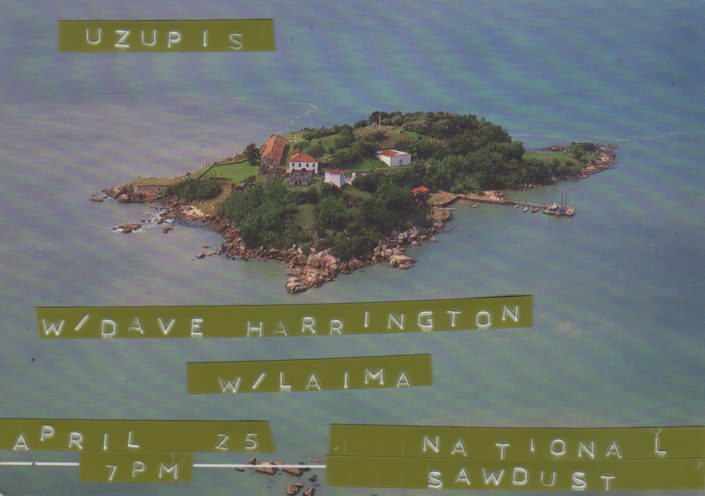 An eclectic, shimmering trio of 2 vibraphones and electric drums, Uzupis will create a spectacular experience using with the help of Wollesonics, newly created instruments by Wollesen.